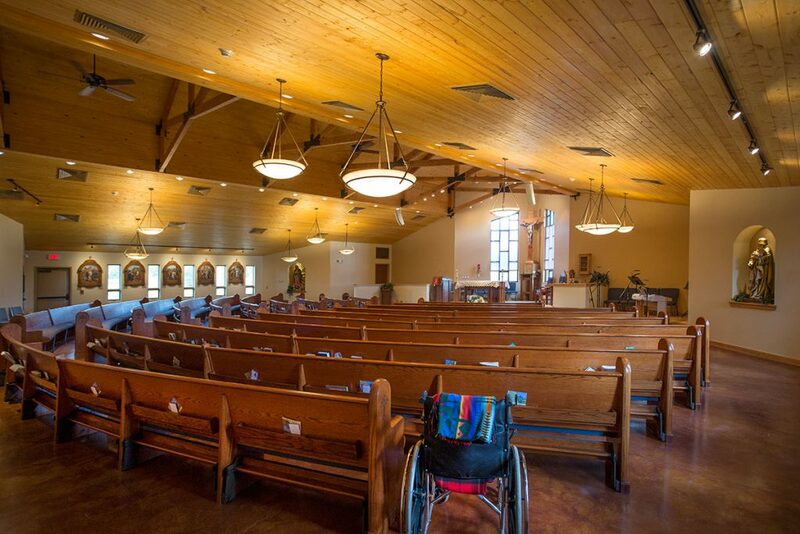 At the end of a long interview process, the leadership of Holy Angels Church found that LDG Architects had the experience, qualifications, and skill to deliver a building for the community. 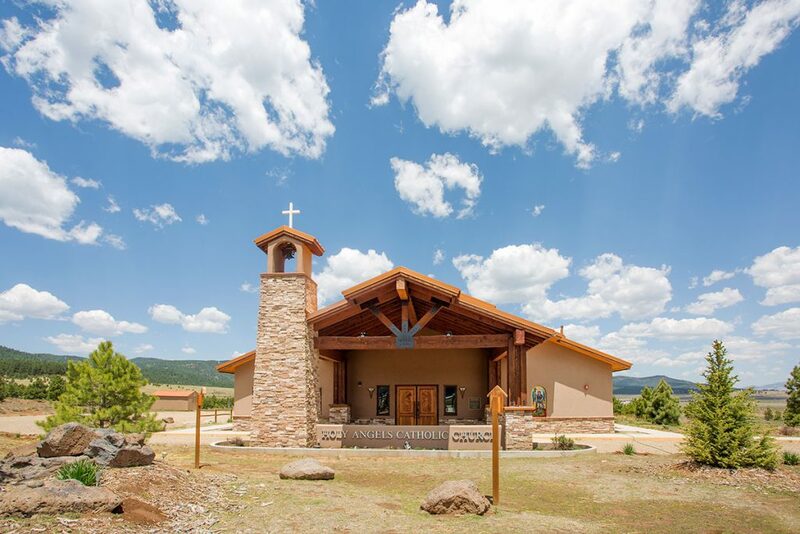 The Timber frame entry and drop off structure as well as the stone bell tower gave the church the mountain aesthetic the leadership sought. The entrance to the worship space begins through a shared vestibule with a small conference space and kitchen for community meetings. The importance of music is exemplified by the attention to the choir space, the acoustics, and integration of the sound system. The large open span structure is achieved by the deep glue lam beams that span almost 60 feet. 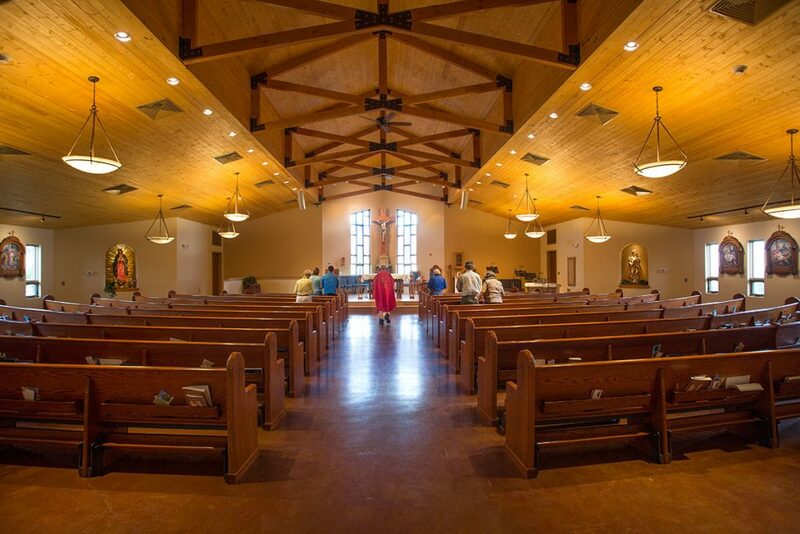 They carry the interior open web trusses that make the clerestory space and give a sense of openness full of light. The tall angled windows behind the altar provide an inspired backlit focal point paying homage to the mountain landscape. A spelling error in our documents inadvertantly renamed the project Holy Angles. 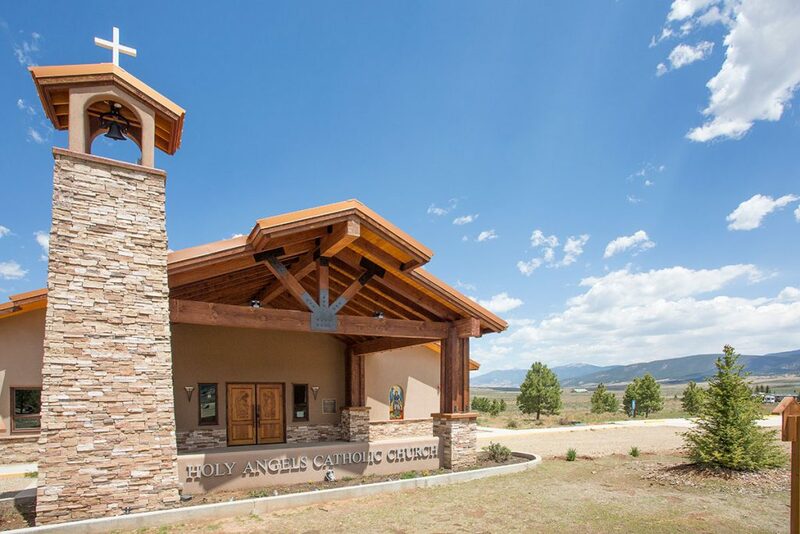 The Holy Angels Catholic Church has been a huge asset to the community of Angel Fire. Living Designs Group Architects is honored to work on projects that build the community fabric and that enrich the sense of place with meaningful contributions to the built environment.